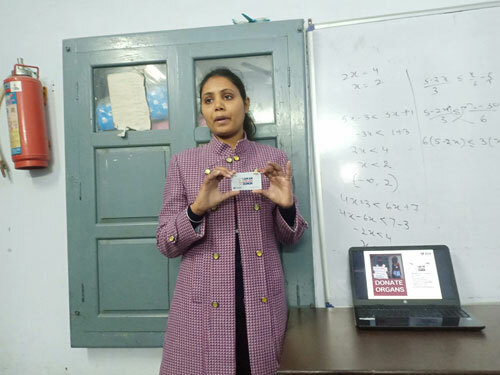 On 1st February 2019, MOHAN Foundation was invited by the Principal Mrs.Paramjeet Kaur of Govt. Girls Senior Secondary School, Abadpura, Jalandhar to conduct an awareness talk on organ donation for their 12th standard Arts students. Around 17 Students participated in the program.